In 2013, the firm ‘’ARHIPLAN’’ltd. 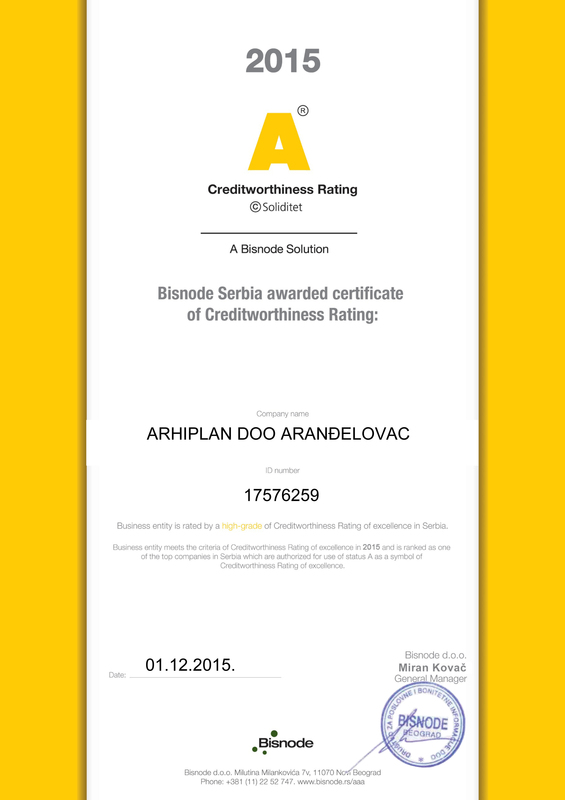 was awarded with the Excellent Creditworthiness Certificate of A rating by Bisnode Solutions Group, which certifies that the business subject meets creditworthiness criteria in business, has a perspective development and follows the trend of the most successful companies in Serbia, or the EU, which altogether justifies the fact that the firm has the high rate of creditworthiness excellence in business in Serbia and belongs to the top group of Serbian business companies. 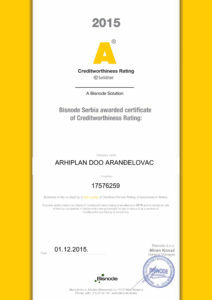 Thus, it has been authorized to use the A rating status with its name as a symbol of high creditworthy excellence. 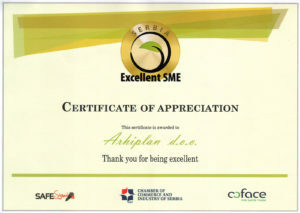 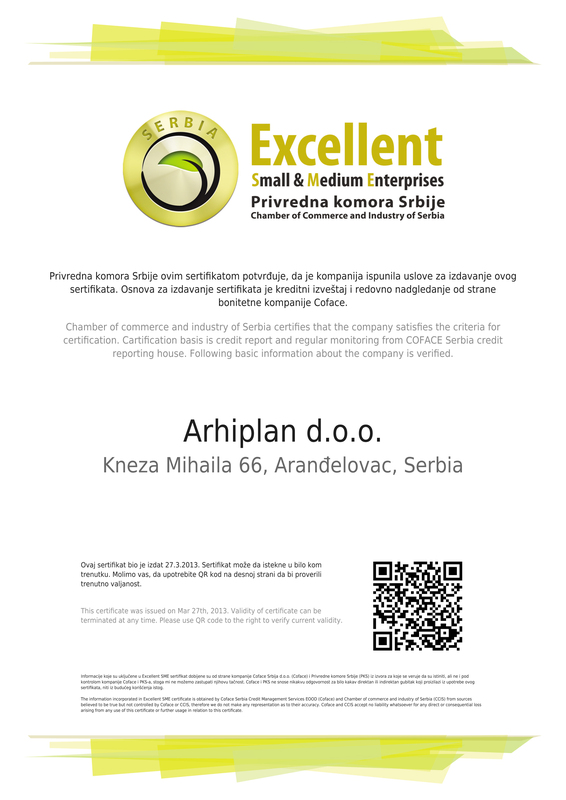 Furthermore, after the suggestion by the Serbian Chamber of Commerce, since 2013 the firm “ARHIPLAN’’ ltd. has successfully passed the evaluations conducted by the insurance company and the creditworthiness company Coface Serbia, and it has been proved that the firm meets all the criteria for becoming a proud holder of the electronic certificate Excellent SME Serbia (Excellent Small & Medium Enterprises Serbia.